The Game is Altered was launched on 8th February. It was a good party. Lots of friends and family came along and the wine flowed freely. Here are some pictures from the night. I’ve been slack. I can’t seem to find the time to update this blog, what with teaching, family and writing… However I am very pleased to report that Tindal Street Press will be publishing my new novel in February 2012. I’ve already begun editing (corrections and rewrites must be finished by the end of July apparently) and Luke – my editor – is as thorough and relaxed, as last time. However I’ve suggested three titles and Luke hasn’t jumped at any of them. This worries me. But as soon as I know what it’s called I’ll post it here. The novel is set in the near future (but it’s not Sci-Fi). It’s about a young man called Lionel who is mixed race, adopted and obsessed with MMORPGs (online role playing games). The novel switches between a real world and a virtual world and explores notions of identity (cultural, digital, gender etc.). Once I get the blurb from the publisher I’ll post it here too. Down to The Smoke last night for the writLOUD event and a bit of a gad about town with an old friend, a banker, my daughter and her lover. Had a blast – but the best ‘lit bit’ was a reading by John Lucas – an MA student on Birkbeck’s Creative Writing MA. He read his story – Becoming Marc Almond – and it did it for me. Have a read and see what you think. Met some lovely people, including Jill McGivering, who also read a moving passage from her new novel The Last Kestrel (you can read a good chunk of it here). I started the book this morning and I’m halfway through (I got some reading time thanks to various train journeys) and so far it’s pretty compelling stuff. Thanks to James Vincent and the writLOUD crew. I’ll be reading at writLOUD on August 9th. writLOUD is a monthly readings event showcasing both new writers from Birkbeck’s Creative Writing courses and established authors. I’ll be reading from my novel Among Thieves, and I’ll be joined by Jill McGivering who’ll be reading from her first novel, The Last Kestrel – ‘a deeply compassionate and thoughtful novel, written with the humanity that is a trademark of her reporting’ (Fergal Keane). Jill is a Birkbeck, MACW alumnus and BBC senior foreign news correspondent. There will also be readings from Matthew Wright, Azra Hussain and John Lucas. Among Thieves was the winning book in the Murder and Mayhem section of the Coventry Inspiration Book Awards and on 16th of June I went along to St Mary’s Guildhall in Coventry for the awards ceremony. The whole thing began with a civic reception, hosted by Coventry’s Mayor. Then there were photos of all the winning authors in strange local-paper-styleee poses. And finally there were the awards themselves. The event was a resounding success and Joy Court, Learning Resources Manager at Coventry City Council and organiser of the awards, had gathered a brilliant crowd of schoolchildren, teachers, library personal and book lovers, as well as several of the winning authors. I can’t believe it’s been so long since I last posted here – work/family have been filling my time but I’ve also been hacking apart an almost complete novel and trying to put it back together again. This involves courage – and some writing. I’m determined to have a new #1 draft by the beginning of the summer so I can take a few weeks off before the rewriting process begins – so this post might be my lot for another few weeks. In the last couple of months I have been accepted as a member of the Tindal Street Fiction Group (TSFG). The group meets once a fortnight and so far I’m enjoying the experience. The evening goes like this: reading, analysis, pub. An excellent format in my opinion. I’ve never belonged to a writing group before and although TSFG has been established for years it doesn’t feel cliquey. I have just discovered – while writing this post and trying to find links to TSFG – that one of the members, Sybil Ruth, is the author of a poem that I have read and reread since I first came across it last year. The poem won the Mslexia Poetry Competition and is called A Song of Jean – and you can read it here. I suddenly feel even more chuffed about being a member of TSFG. I’m off to Scotland tomorrow to Aye Write! Glasgow’s Book Festival. 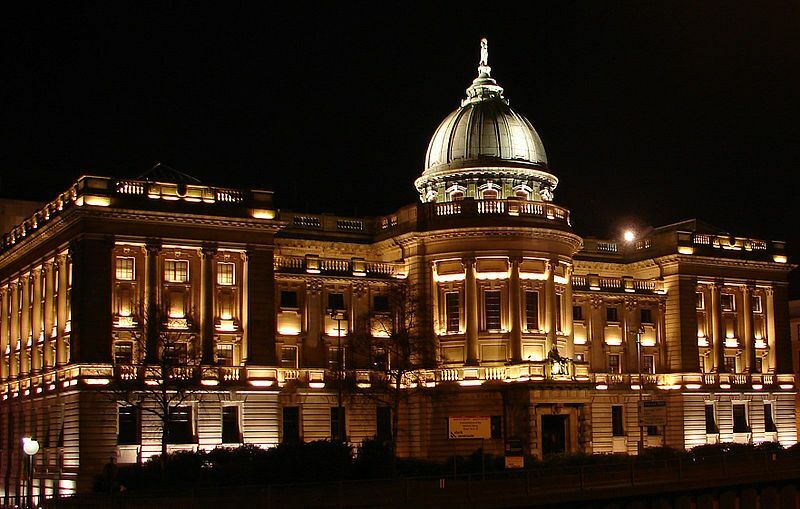 I will be reading in The Burns Room at the Mitchell Library – and this will be followed by the Commonwealth Writers’ Prize announcement at 6pm. The event is free and from the website looks as if it’s open to all – but if you don’t fancy that then the most talented AL Kennedy is giving a talk at 7pm in the same building. I’m nervous. The building looks rather large. I wonder, if you spend a lot of time in buildings that are grand and imposing do you begin to think of yourself as grand too? Maybe this is explains why people who live in cities often think they are more sophisticated than the rest of us – they can’t help themselves, it’s simply their environment. Whatever, I don’t spend much time in grand buildings. I prefer a small room, with a desk, and a stack of books, several pens, some paper and a computer – oh and I’d like a view one day – onto a garden or the sea. Yes, I am nervous. Wish me luck. Among Thieves has been shortlisted for The Commonwealth Writers’ Prize Best First Book Award in the South Asia and Europe region. The regional shortlists were announced yesterday and I was delighted to find that another Tindal Street author, Anthony Cartwright, has also been shortlisted in the Best Book category for his novel Heartland. The Commonwealth Writers’ Prize is distinct and unique in that the books that win often have strong insight, spirit and voice about the incredible diversity, history and society of the Commonwealth. The Prize aims to reward the best of Commonwealth fiction written in English and in doing so, spots rising talent and creates new literary figures from the Commonwealth. This is the Prize to watch for tomorrow’s best-sellers. I feel proud to be shortlisted – and proud of my publisher for championing the literature of diversity. You can read about all the other shortlisted titles in all regions here.